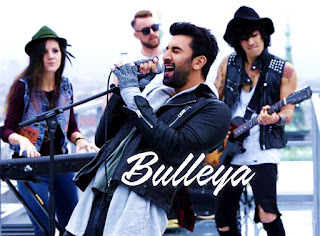 Bulleya Lyrics from Ae Dil Hai Mushkil (ADHM): Sufi Song starring Ranbir Kapoor, Aishwarya Rai Bachchan, Anushka Sharma sung by Amit Mishra, Shilpa Rao. Bulleya is the second song released from Karan Johar's Ae Dil Hai Mushkil. Pritam composed this melodious soulful track filled with high energy and intensity reminding us of Ranbir Kapoor's Rockstar avatar. Ae Dil Hai Mushkil movie stars Aishwarya Rai Bachchan, Anushka Sharma, Ranbir Kapoor. And directed by Karan Johar. Ae Dil Hai Mushkil releases on 28 October 2016.